Get a funny and the most memorable caricature gift of the whole company's staff, which will be hand-drawn from attached photographs in colored pencils style. 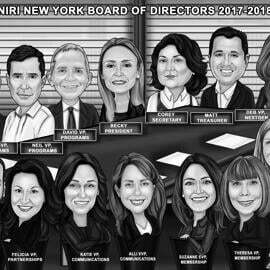 We can surprise any company's member with an amazing and personalized caricature, designed according to business environment, occupation, hobby or event. You just have to write several words about the main occasion, for whom and anything else for addition upon your wish. 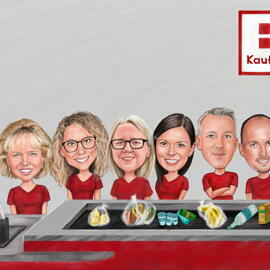 Our artist will create a group caricature within 5-10 working days depending on number of people. Caricature in full body type will be delivered as a retouched high quality JPG File to your Email. Additional delivery options: Original Caricature drawn on A4 or A3 Paper, Caricature printed on Canvas, Caricature printed on Photo Paper of multiple sizes. Worldwide shipping is available.